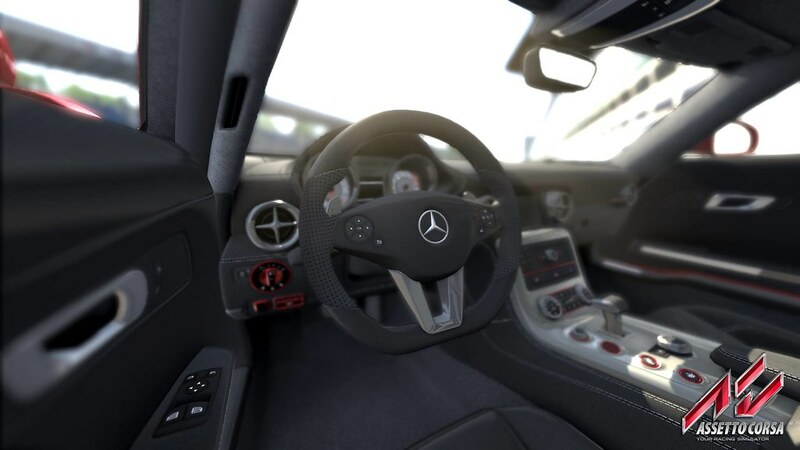 Kunos Simulazioni released Update V0.22 of their Assetto Corsa Early Access version. As usual the update contains a long list of fixes and improvements. Kunos Simulazioni also added some new content for us all to enjoy. 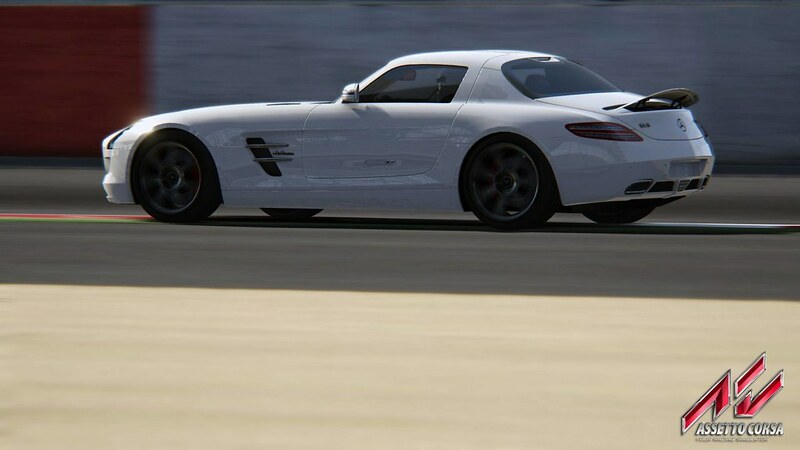 V0.22 introduces the Mercedes Benz SLS (Sport Leicht Super) AMG. 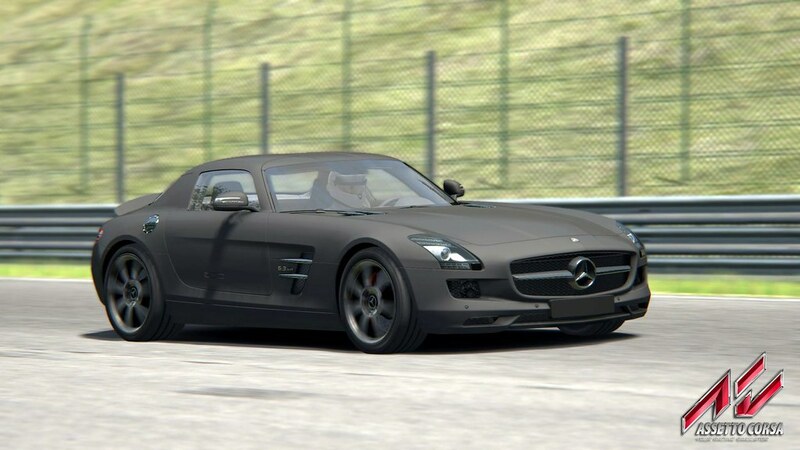 Normaly this car would be reserved for the Assetto Corsa 1.0 release version, but the team decided to reward all fans by including the car in release 0.22. 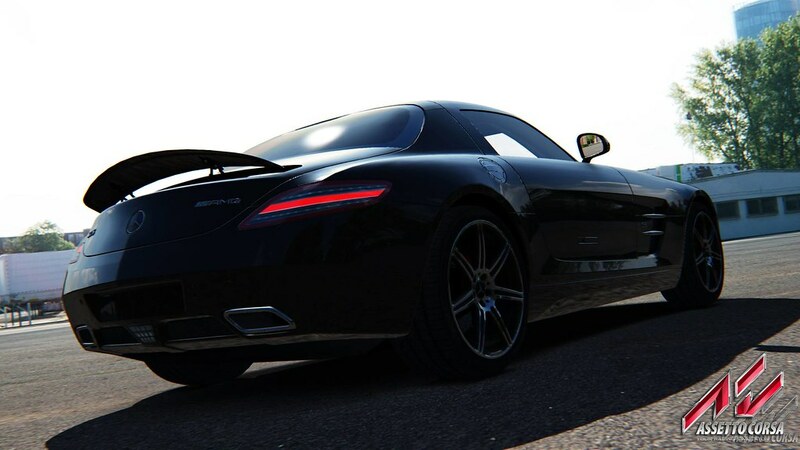 The Mercedes SLS AMG is a 2-seater luxury grand tourer, powered by a 6.2 L V8, DOHC engine that is fitted in the front of the car. The power is delivered to the rear wheels by a seven speed dual clutch automatic transmission. The Kunos development team also added a new circuit to the track list. Sim Racers can now race their favourite Assetto Corsa car at the Sprint version of the Nurburgring GP circuit. As with every update the AI is tweaked some more to smooth out the single player game-mode. Also, the tyre model is modified to deliver a more direct and “alive” FFB. Kunos Simulazioni advises you to use less Force Feeback effects. 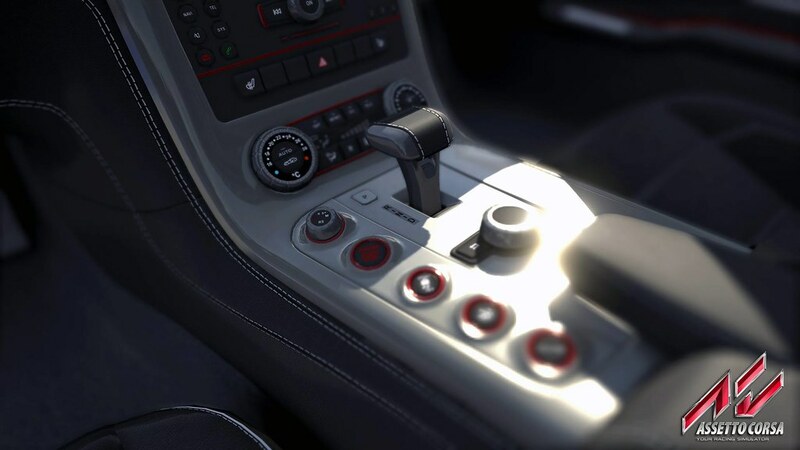 all cars with H pattern manual gearbox, when used with paddles, can now enable autocut-off autoblip assist properly. The timings are slower than what you can achieve with an H shifter hardware.